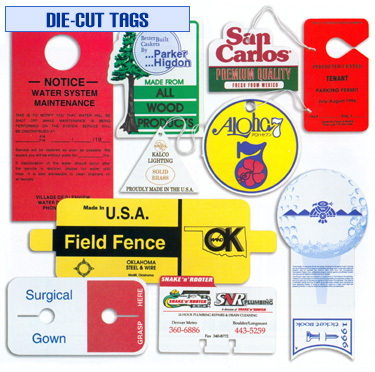 Die-Cut Tags are especially useful when you have a special use or need to communicate a message. Print up to eight colors and choose from a variety of paper materials. Need durable tags for water and weather resistance? No problem! We have several water resistant or proof materials to choose from. Please complete the inquiry form to find out which stock material is the most cost efficient for your application.